Here at Upstate-Downtown, it’s no secret that we’re crazy for ramps — those pungent wild spring onions ripe for picking this time of year. And we’ve written extensively about them, from foraging, preparing and cooking and pairing with wine, to contributing content to the first-ever ramps cookbook. Kathryn and I were away for the first Ramp Fest in 2011. We went last year, but arrived to a Ramp Fest with no food left. Apparently, an early, far larger than anticipated crowd, mowed through all the ramp dishes within an hour. We left disappointed…and hungry. Third time was a charm, though. Last week, on a perfect spring day, I arrived at Basilica Hudson on the early side and, after last year’s fiasco, the 20 restaurants/chefs had “ramped” up their quantities for the enthusiastic crowd. 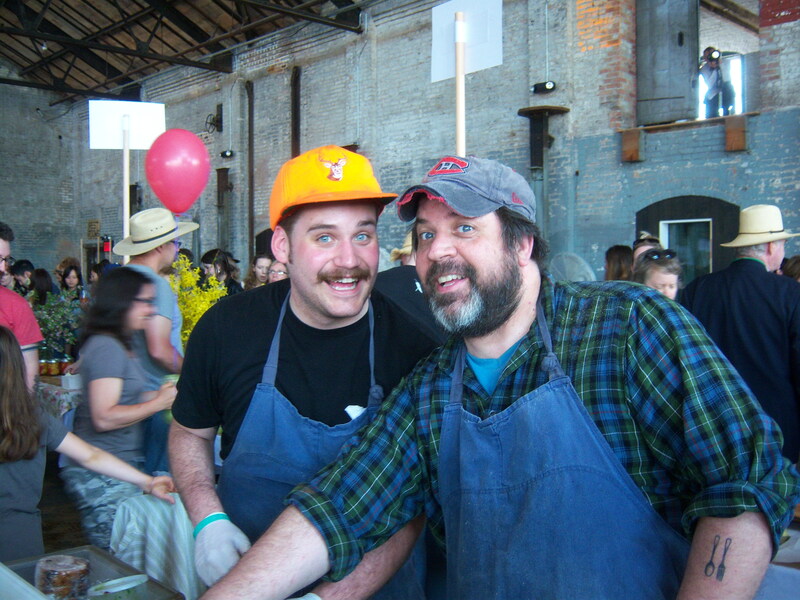 Ramp Fest’s founder and chief organizer Jeffrey Gimmel, is also chef and co-owner (with wife Nina) of Swoon Kitchenbar in Hudson. A ramp forager and dedicated locavore himself, Gimmel is pleased with the way festival has grown and evolved, especially the high caliber of participating chefs. This makes for friendly (but real) competition, sets a high bar and yields some excellent, creative dishes for the crowd. 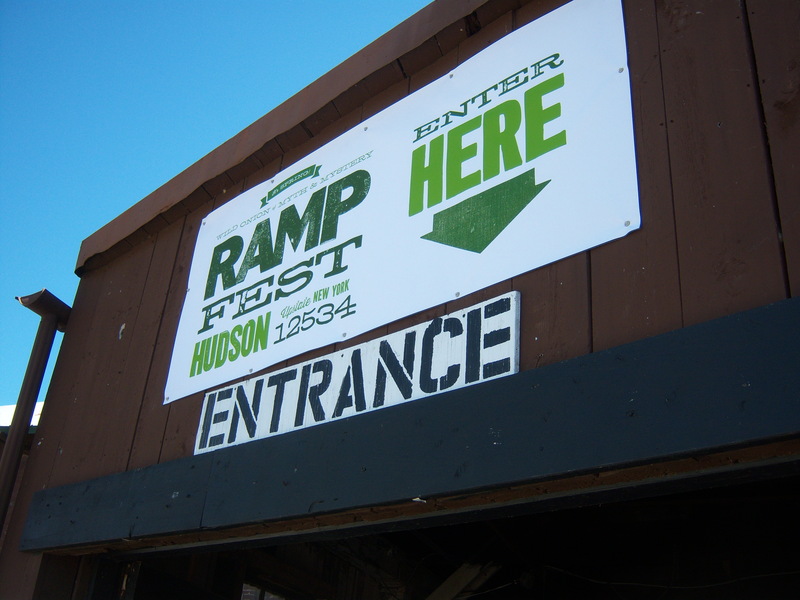 “Ramp Fest really kicks off the summer season for us in Hudson,” he said. 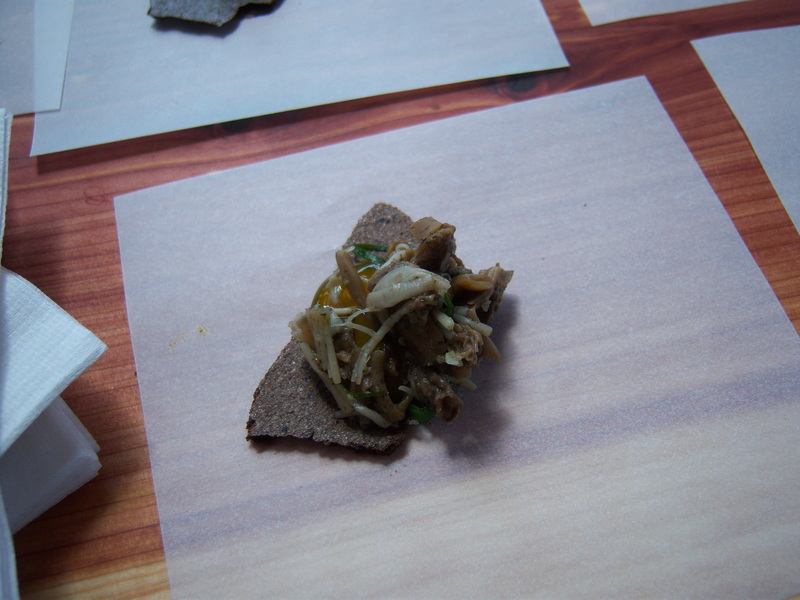 And, by the way, Gimmel’s 2o13 dish was no slouch, either: tender lamb’s tongue rolled up in a socca crepe with a grilled ramp Romesco sauce. Jamie Parry of Another Fork in the Road (Milan, NY), a three-time Ramp Fest participant, baked 1,000 semolina and ramp biscuits — his personal record for any baked good — filled in with pulled rabbit BBQ (the rabbit from Ethel’s Farm in Milan) with ramp agrodolce. Totally toothsome! Hint Jamie: I hope this shows up on your regular menu! 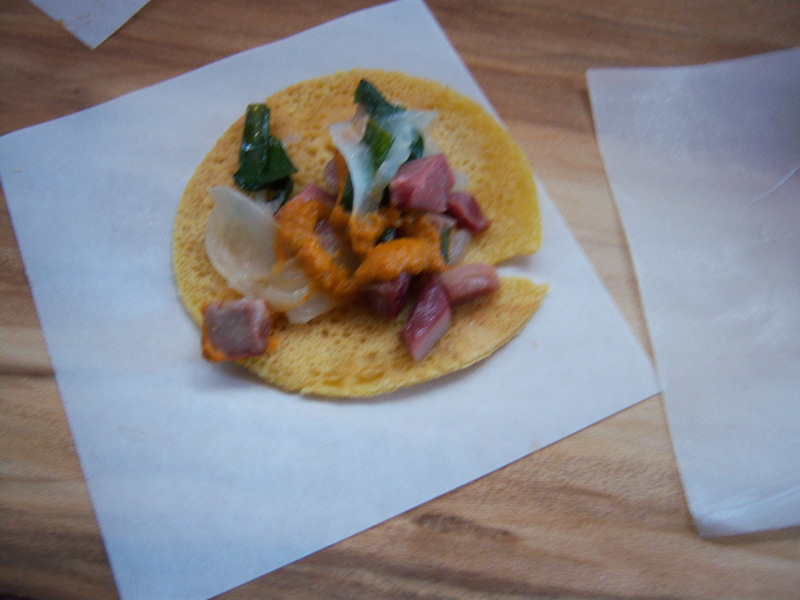 Chefs Zak Pelaccio and Jori Jayne Emde of Fish & Game (Hudson, NY) offered up the most mischievous and elaborate dish of the fest. I was first instructed to down a shot of Rye whiskey, then a shot of ramp pickle juice, followed, finally, by Fish & Game’s own cured ham on artisan bread, spread with ramp butter. It all went down fast and easy. With its vibrant food and art scene and influx of young hipsters, Hudson is often likened to Brooklyn, or “Williamsburg North”, as Gimmel dubs it. 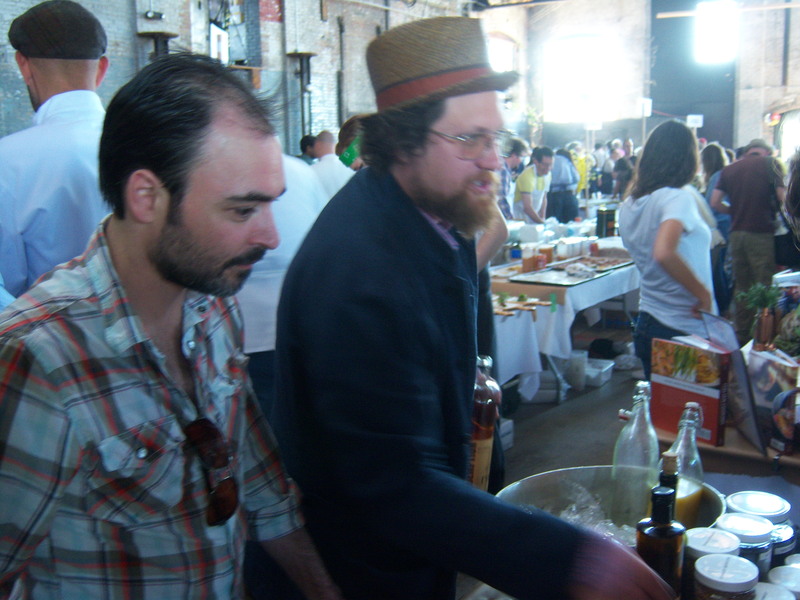 Reflecting this parallel, the Brooklyn was well represented at Ramp Fest, with three participating restaurants: Applewood, Speedy Romeo and The Farm on Adderley. 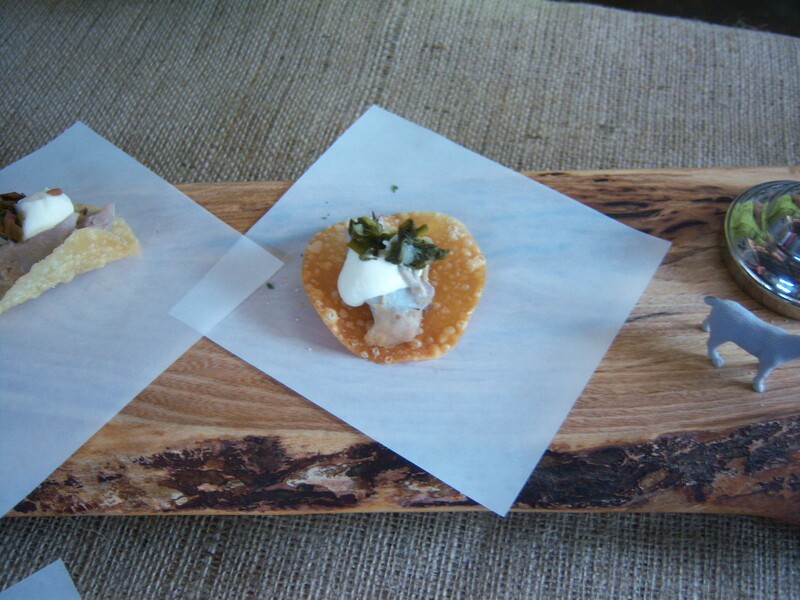 I especially liked The Farm on Adderley’s simple, textural delight: smoked bluefish with pickled ramps and creme fraiche, on a lightly crisped won ton. 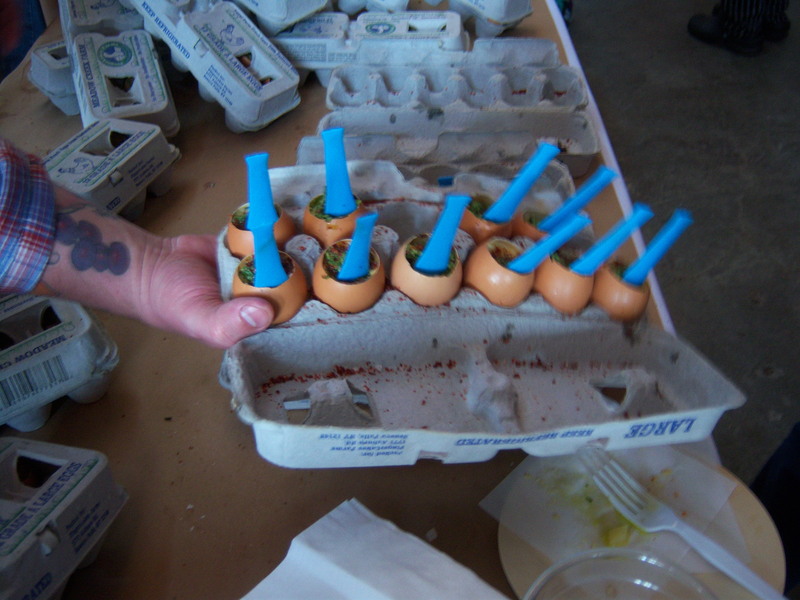 The only entry from Manhattan, Gallow Green (from Chelsea, at the McKittrick Hotel) presented a crowd favorite, a charred ramp and Carolina rice custard with ramp pesto, served in brown egg-shell. Ramps aren’t often described as “delicate”, but this was the end result when Crimson Sparrow (Hudson, NY) created a Japanese-inspired enoki and maitake mushroom and ramp salsa with egg yolk and nori, on a ramp-garlic chip. Exquisite. Definitely umami. 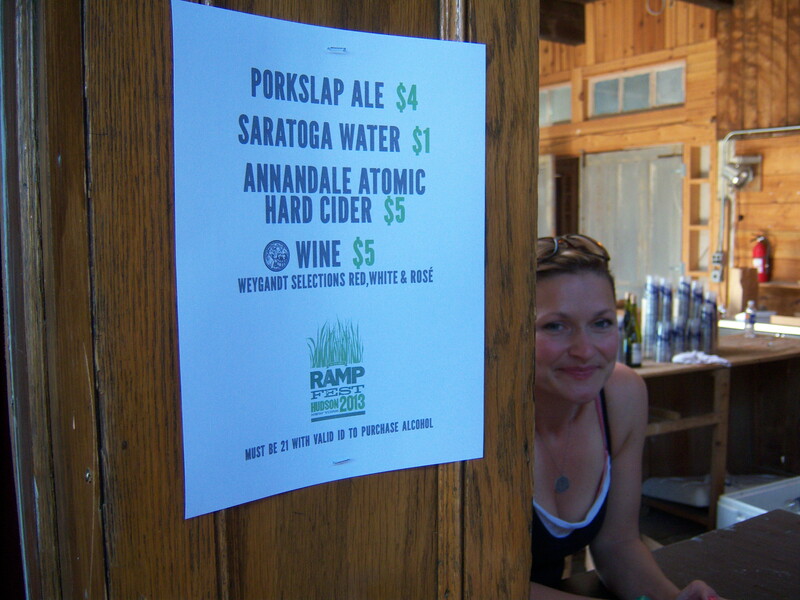 In addition to sampling the ramp-infused fare, I enjoyed the live jazz string ensemble, and the nicely edited selection of beverages to wash down the chow, including Annandale Atomic Hard Cider, locally produced by Doug Fincke at Montgomery Place Orchards. Just like the season for ramps, the festival was over all too quickly. But the wild onion — and festival that celebrates it — left a lasting (and tasty) impression. This entry was posted in Hudson Valley, Local Food, Restaurants and tagged Another Fork in the Road, Crimson Sparrow, Fish & Game, Gallow Green, Hudson NY, Jamie Parry, Jeffrey Gimmel, Montgomery Place Orchards, Ramp Fest 2013, ramps, Swoon Kitchenbar, The Farm on Adderley, Zak Pelaccio. Bookmark the permalink.